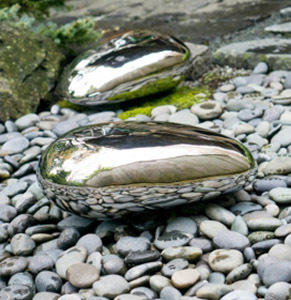 Now that spring/summer is here, it’s time to spruce up the outside and decorate our exterior living spaces. 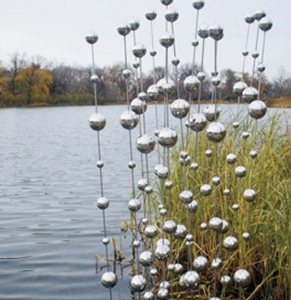 Below are pictures of some cool outdoor accessories we carry, some of which are functional and some are decorative only. 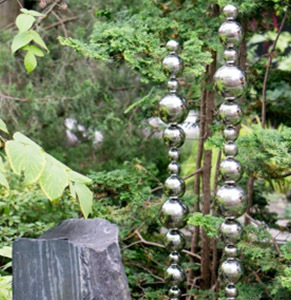 Stainless steel finishes maintain the sheen and flawless look and I can attest to this since I’ve been decorating my outdoors with these products for years. 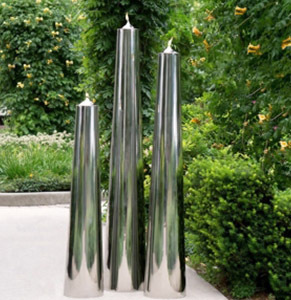 The stainless steel torchieres come in 3 different sizes and they make a stunning statement. 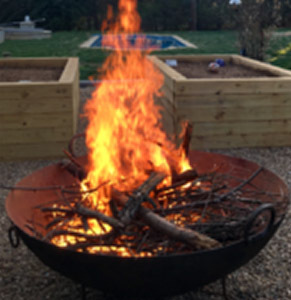 The latest addition to our outdoor design was a 57” diameter metal fire pit which not only screams drama, but also can be moved around as needed and in an instant change any exterior Design.